Anand Prahlad was born on a former plantation in Virginia in 1954. This memoir, vividly internal, powerfully lyric, and brilliantly impressionistic, is his story. For the first four years of his life, Prahlad didn't speak. But his silence didn't stop him from communicating--or communing--with the strange, numinous world he found around him. Ordinary household objects came to life; the spirits of long-dead slave children were his best friends. In his magical interior world, sensory experiences blurred, time disappeared, and memory was fluid. Ever so slowly, he emerged, learning to talk and evolving into an artist and educator. His journey takes readers across the United States during one of its most turbulent moments, and Prahlad experiences it all, from the heights of the Civil Rights Movement to West Coast hippie enclaves to a college town that continues to struggle with racism and its border state legacy. 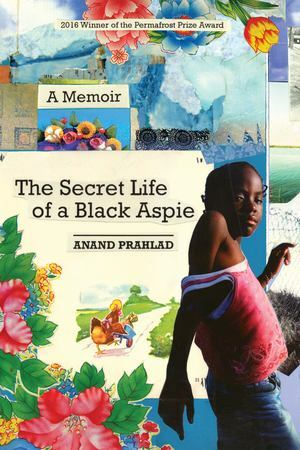 Rooted in black folklore and cultural ambience, and offering new perspectives on autism and more, The Secret Life of a Black Aspie will inspire and delight readers and deepen our understanding of the marginal spaces of human existence.